Upcoming Atom chips from Intel will appear in tablets priced as low as $150, the company's CEO said Wednesday, vowing that Intel will not get caught flat footed again by "the next big thing." 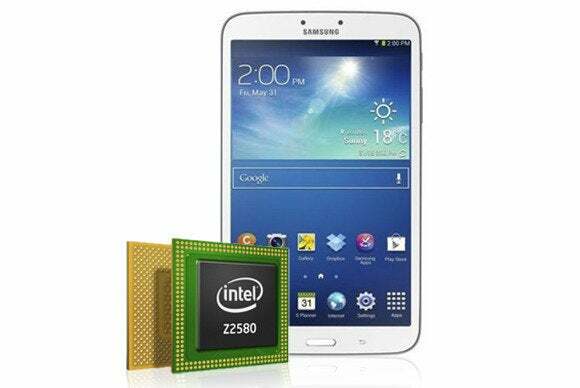 Intel's low-power Atom chips are vital to its plans to recover ground in the mobile PC market, where sales of traditional laptops are falling and Intel has largely ceded the tablet space to rivals like Samsung Electronics and Qualcomm. Read more about the PC's no-show during Intel's quarterly call. Speaking on his first quarterly earnings call for Intel on Wednesday, new CEO Brian Krzanich acknowledged Intel's missteps and said it can't afford to be caught off guard again. "We've not always lived up to the standard we've set for ourselves," Krzanich said, admitting that Intel was "slow to respond" to the tablet market. There will always be "another big thing," he said, and Intel must be constantly "scanning" for it. In the meantime, it's betting on two mobile versions of Atom to help it recover lost ground. One is Bay Trail, which will appear in touch-screen hybrid and tablet PCs in the second half of this year, at price points Intel hasn't been able to reach before, according to Krzanich. Bay Trail will be offered in tablets priced at "$199 and below," Krzanich said. "Some you'll see even lower—$150, and below that, as we go through the holiday season," he said. It wasn't clear if the cheapest tablets will ship in North America and Europe, however, or only in developing markets like China. The other important Atom chip for mobile is Merryfield, designed to give Intel a bigger foothold in the smartphone market. Merryfield will ship by the end of the year, Krzanich said—sooner than an Intel executive suggested back at the Computex trade show in June, though an Intel spokeswoman said Wednesday there has been no change in plans. 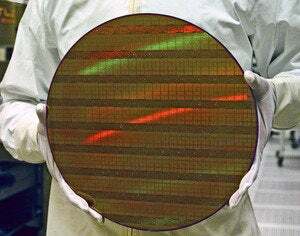 The need for chips that consume less power means that Intel's Atom processors, originally developed for netbooks, are an increasingly vital part of its business. The upcoming Atom chips are based on its new Silvermont core, which can run both Windows and Android OSes. There's even an Atom processor for servers, designed to compete with low-power Arm-based servers like those being developed by Advanced Micro Devices. Intel will start to move Atom more rapidly to its newest manufacturing processes, and treat it as an equal to its more traditional Core architecture, used in PCs and servers, Krzanich said. The newer manufacturing processes produce faster transistors that use less power. Atom won't be the first chip to move onto Intel's most advanced 14 nanometer process, which starts to be used later this year. CFO Stacy Smith implied that the first 14 nanometer part will Broadwell, the codename for a shrink of its Haswell design that appears likely to arrive early next year. Krzanich was asked by an analyst if there's a danger Bay Trail will cannibalize sales of Intel's more expensive Core processors. Krzanich said he thought there was not, but he stressed that not getting left out of a market altogether is more important. "At the end of the day, the market will go where the market goes, and [its] better to have a product like Bay Trail ... than miss that market, which if you look over the past was more the case," he said. New Haswell chips are also coming soon, and will appear in sub-$400, and, "in some cases" sub-$300 laptops, including clamshell, convertible and "2-in-1" designs, Krzanich said. He didn't give an exact timeframe. The new products are all crucial to Intel's efforts to recover growth in a PC market that continues to decline. On Wednesday, the company reported a 29 percent fall in profits for the second quarter and trimmed its sales outlook for the year. "The overall PC market for 2013 is expected to be weaker than we originally forecast at beginning of the year," Smith said on Wednesday's earnings call.